Alright, I have a confession: this was my first time making soup! Well, my first time if you don’t count my attempt when I was 5 years old and nearly sliced my finger open. Maybe the trauma has finally worn off, or I was REALLY craving some soup. Either way, it was well worth a try because this will become a regular on my winter menu. 1. In a medium pot, add 2 tbsp of olive oil, salt and the leeks. Saute for about 5 minutes. 3. Wash, chop, and peel your potatoes as well as the broccoli. Add to the pot. 4. Boil until the veggies have softened, over medium heat. 5. Using a hand blender, mash the mixture until you’re left with a thick consistency. If it’s too thick, add some water of vegetable stock. 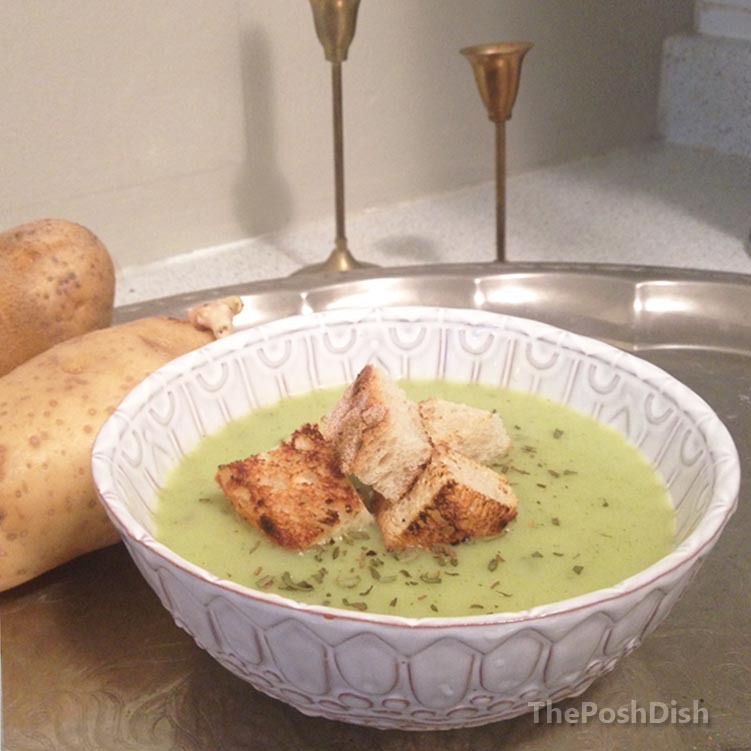 To close out Veggie Month on ThePoshDish, here’s the third recipe! And because it’s also Halloween, why not use it as a healthy treat for a party –kids and kids-at-heart will be equally happy to taste it. Sure, it’s not candy but it’s the most fun way to avoid a sugar rush. Not to mention, an excellent bread-free alternative to bruschetta for any occasion to come. Place spoonfuls of the mix onto the zucchini halves. 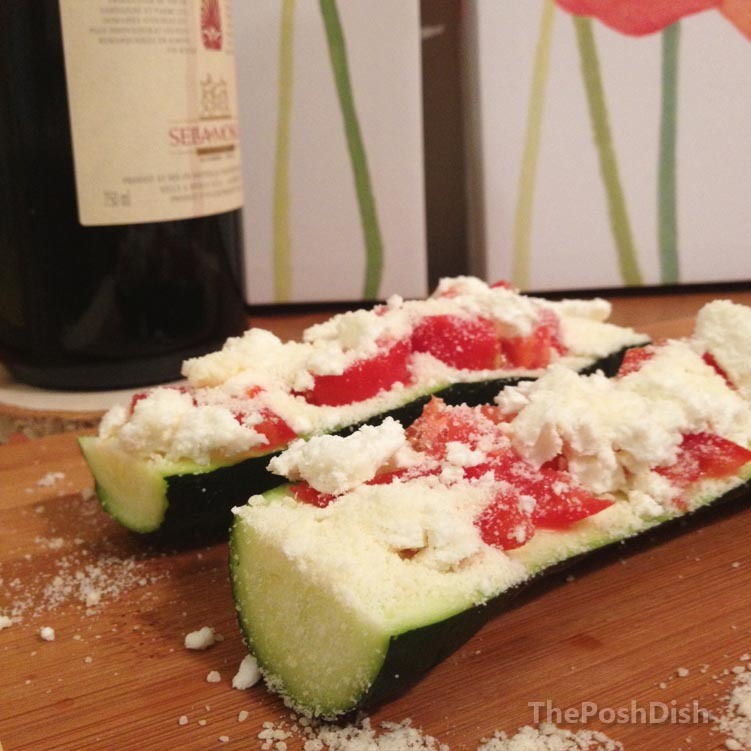 Crumble the goat cheese and Parmesan cheese on top. Bake in the oven for approximately 45 minutes, and enjoy! So whether you savour them as a Halloween treat or an everyday snack, keep this recipe on the ready for a bread-free alternative to bruschetta. With fall in full wing, the harvest is bountiful! So to celebrate, October’s posts will be all about veggies –what better time to reap the rewards of summer than by making savoury dishes? Earlier this week, carrots had their time in the spotlight with this recipe. 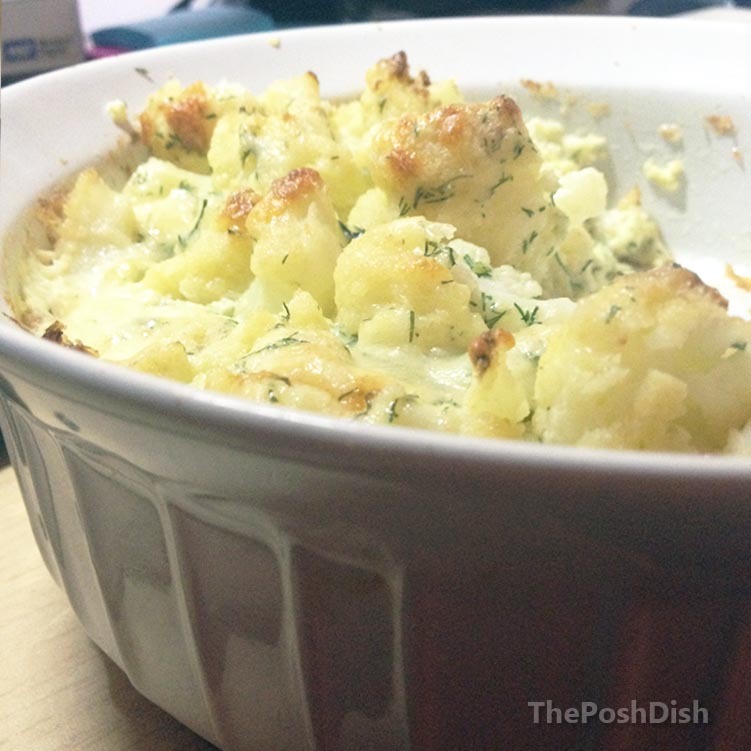 But now it’s cauliflower’s turn to shine! Even though you may scrunch up your nose at the though of its smell, baking it in the oven with cheese and fresh herbs will turn it from yuck to “you better have saved me some for later”! Here’s how to put it all together, but whether you’re willing to share it or not, that’s up to you! 4. Crumble the Feta cheese on top, sprinkle the dill, and season with salt! When all is done, scoop a spoon of sour cream on top and dig in! Second serving anyone?